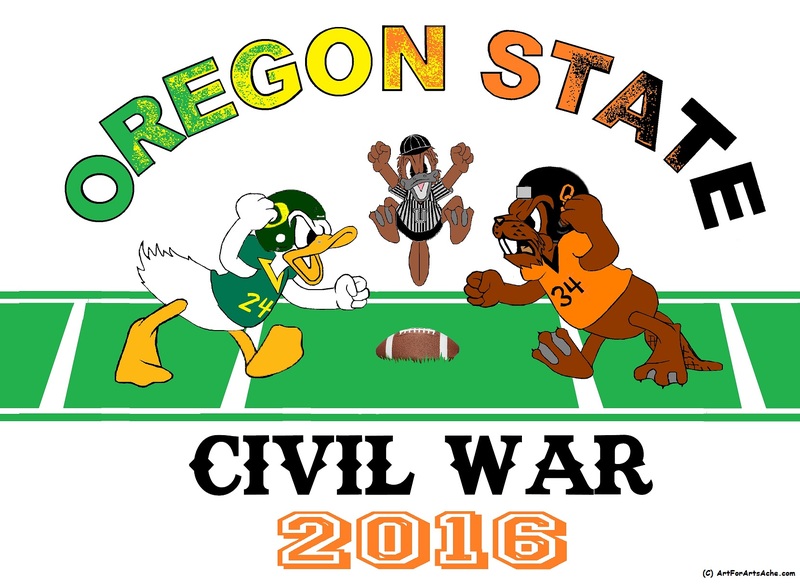 The Civil War is the colloquial name for a series of American college rivalry games and other competitive events played out annually in Oregon, between the Ducks of the University of Oregon in Eugene and the Beavers of Oregon State University in Corvallis. AfAA is tickled orange, green, black and yellow about the OSCW and has plans to participate and shamelessly promote for the sake of fun and profit. 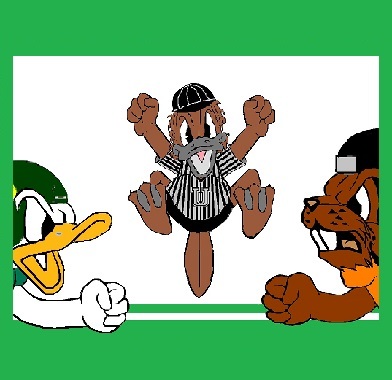 As an example, for fans who are for both, or neither, a Duck or a Beaver - see our line of University of the State of Oregon (USO) Platypus artwork - suitable for framing, t-shirting, mad hatting, or what need you. Check out the OSCW project and let us know what you think! If you'd like to communicate more on this special project, visit our Contact page for options.